Most insurance policies have a limited time during which you can file a claim for wind/tree damage, so assessing the damage quickly and working with a company that is deeply familiar with the claims process will help you recoup your total losses without spending more out of pocket than your deductible. Modern hundreds of wind insurance claims a year and can help you properly identify if you have true wind damage. 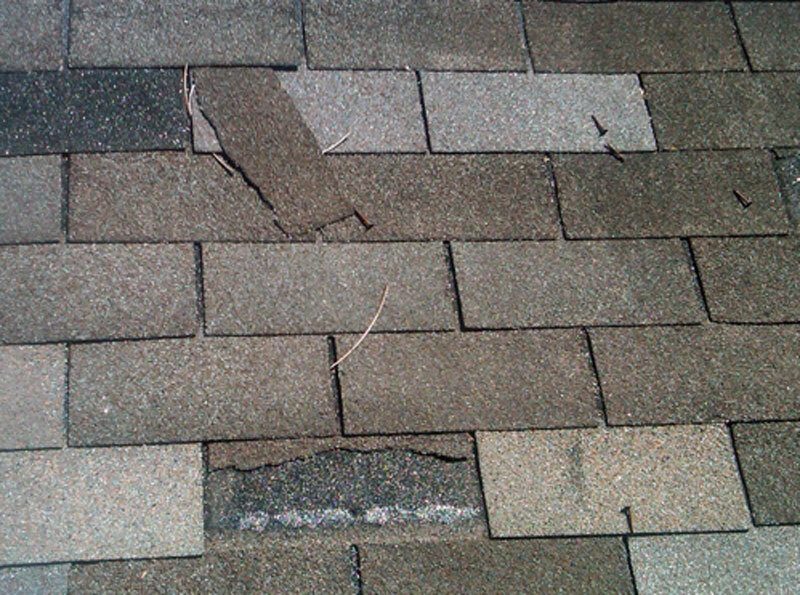 Severe wind damage will often result in broken or missing shingles like this. Sometimes, these can be spotted from the ground whereas other times, they are only visible from the roof. Below is an aerial photo of an approved wind damage claim. 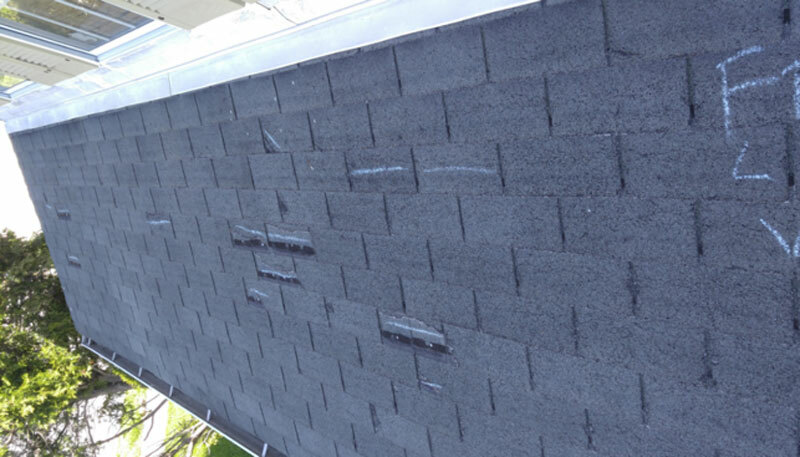 The chalked areas show damaged shingles. As you can see, some shingles are more obviously damaged than others as pieces are missing. However, other shingles may have just a slight curl or raise in them that can be difficult to spot to the untrained eye. If you think your home has experience wind damage or strong winds were reported in your area, schedule a free home inspection with us today. They only take 15 minutes and give you the peace of mind you deserve.